These days, many couples opt to hold their ceremony and reception at the one venue, conveniently reducing the time, stress and expense of travelling between two locations. It also has another benefit – allowing brides and grooms to capitalise on one location and create a truly beautiful setting that can be enjoyed from start to finish. Our range of light trees are perfect for this very reason. Beautiful by day and spectacular by night, Avatree LED Light Trees create a captivating scene of elegance and illumination. 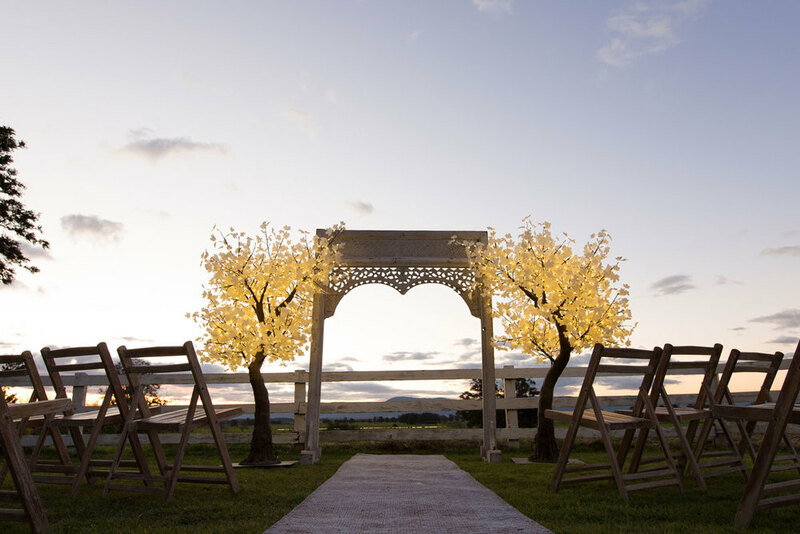 During the day, the trees’ natural finish and subtle illumination are on show, creating an elegant backdrop to the ceremony. At dusk, the trees begin to shine, their softly-lit leaves creating a magical atmosphere. And by night, they create a stunning backdrop to the festivities, adding ambience and soft light to the celebration, whilst also acting as a perfect photo opportunity for brides and grooms.